There's an on-line psychiatrist discussion group where docs exchange information, ideas and resources. As in all things on-line, it's sometime is invaluable, and it sometimes makes me shake my head. Today, I was tagged in a post that discussed an article in Psychiatric Times called We Need to Talk About Stigma in the Mental Health System. Louise Harvey writes about her hospitalizations in the UK. Here is an excerpt so that you get the idea, and in the UK the term "sectioned" means involuntarily hospitalized. 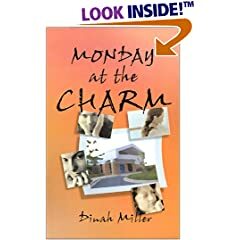 Quickly it became clear that I was considered to be a histrionic, attention-seeking young woman whose problems amounted to an individual moral failing, and a refusal to take responsibility. I was not alone. There were other young women my age and we were all subject to the same invalidating experiences which served only to exacerbate our distress. Our common presentation was self-destructive; we self-harmed and attempted to take our own lives, refusing to suffer silently once our despair had surfaced, the seasons of being able to keep our demons under lock and key well and truly over. Despite being considered a risk to myself, and lacking mental capacity, these judgements were accusations of mere misbehaviour and laden with mixed messages: ‘you are too ill to make your own decisions,’ and simultaneously, ‘you should stop being willfully disobedient.’ It must be noted that these comments were not levelled at the male patients on the ward, and were not reserved solely for younger patients. This kind of treatment followed me for years until a desperate attempt to take my own life by jumping from a bridge startled others into taking me seriously. I wasn’t meant to survive. I felt that I was a lost cause and that my inability to just snap out of the madness was a personal failing. I may not have died, but stigma within the system kills. It is far deadlier than any amount of stigma that one might face outside of the system because these are the professionals we are told to go to for help. Many of my friends who were treated as I was have since taken their own lives because their distress was not taken seriously. 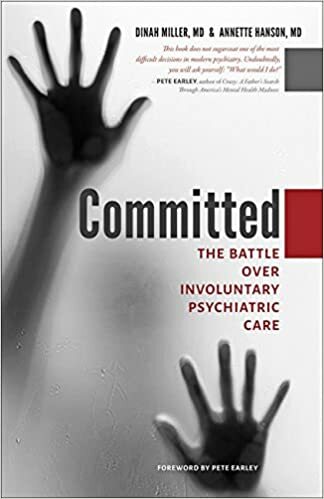 This was my response to the group of psychiatrists, based on my experience as a clinical outpatient psychiatrist and upon the research I did for our book, Committed. Just so you know, within minutes, another psychiatrist called me out as being wrong, so take it for what it's worth. And remember, these issues of how to manage chronically suicidal people are very difficult for everyone: the patient, the family, and even the psychiatrist. Thank you for tagging me. This is a wonderful article, it gives us an insight into the world of the patient. I think we've all been ingrained (as people, not psychiatrists--if those can be different) that if someone does something negative to get attention, then we should ignore it so as not to reinforce it, and people who get suicidal as a means of 'seeking attention' (a horrible thing...note sarcasm) are often dismissed, or punished-- and the inpatient unit here is often used for punishment. The label "borderline" turns into name calling/blaming, and not the acknowledgment of a personality gone awry and something that no one would ever want to have. Would you want to live a life where stress made you feel suicidal or where slicing your skin was the only thing you could find to alleviate psychic pain? Of course not, and yet we, too, often blame the patient. What the behavioral 'ignore it' doesn't include is the Skinnerian concept of an "extinction burst." If you ignore a behavior to get rid of it, the behavior escalates before it extinguishes and in these cases, you end up with a dead patient. I fully believe that if someone is asking for attention with suicidal threats/gestures, you give them attention, in a kind and caring way. And you point out to them what they are doing, how upsetting it is, and you suggest that if they need attention, they might try asking for it rather than upping the ante. I've been known to call family members and say "your family member needs some TLC, they are feeling suicidal and would really appreciate some of your time and attention." It's a much quicker phone call than looking for a bed, and so far this hasn't come back to bite me, fingers crossed, no one has ended up dead. And I have been known to talk suicidal borderline patients out of going to the hospital (although I do say, if you really think you are actually going to kill yourself, then do go to the ER!). Short term (few day) hospitalizations may help people to regroup and live through a rough moment alive and so it should be done if there is no alternative, but this is not the best setting for a person with a personality disorder, and if the wrong chemistry occurs on a unit, things may get worse. Also, people with borderline personality disorder generally have co-morbid mood disorders that should be treated aggressively. Many people who behave terribly stop doing so when their mood is better. More than you wanted, and you know, it's a hard group of people to work with, and I am not the best at it. No deaths, but often these patients leave my care, and sometimes to my relief. Move over, there's a new federal mental health committee in town. The department of Health and Human Services has formed the Interdepartmental Serious Mental Illness Coordinating Committee. My friends Pete Earley and Elyn Saks are both on the committee, and Pete has been blogging about the committee for a couple of weeks now-- the good, the bad, the ranting, and the missed opportunities after the first day of meetings last week. You'll be pleased to know that I didn't miss the opportunity to put in one of my concerns: I emailed Pete and Elyn to tell them how pre-authorization for medications is having a negative impact on the practice of medicine, and psychiatry in particular. Nothing new, but it's a topic that every medical organization has been fighting for years and nothing ever gets done, so I thought I would ask that it be brought up again. My thanks to Pete for including my concern on one of his blog posts. When people talk about serious mental illness (SMI), I always have the same reaction: What is it? From what I can tell, one gets the designation with a diagnosis: schizophrenia or bipolar disorder or severe depression. Apparently it's not about illness chronicity or impairment, or spending time in institutions, or whether an illness responds to treatment. I'm always at a loss: as I've said before, our diagnoses are not precise, prognoses can be wrong, and people can be very sick at one point in time and very well at others. So while 1 in 8 adults are on SSRI's, 1 in 5 suffer from an episode of mental illness during the course of a year, and half of us will have an episode of mental illness during the course of a lifetime, these people with serious mental illness are quite few: 4.5 million Americans. I wish these people wore signs so we knew who they were and could divide the resources appropriately. That said, the conversation about SMI often flows to the topic of involuntary treatment. It goes along the lines of ...if only. If only we could force sick people to get treatment then they wouldn't end up in jails and prisons. If only we could force sick people to get treatment then they wouldn't be homeless, on the streets, committing violent crimes and mass murders. If only. If only it were that simple. What gets missed is that addiction co-occurs with mental illness, and poverty confounds it all --so if only people were not raised in poverty, exposed to violence, and addicted to drugs and alcohol, then so many fewer people would be living on our streets, in our jails, and committing acts of violence. If only. There is another problem with this kind of thinking. It divides us into those who are FOR and those who are AGAINST forced care. It leaves out the key factors of Access to Treatment and Engagement. Not everyone who needs care can get it: we have a psychiatrist shortage in this country. And not everyone who says No to treatment will continue to say No, but if they do say No and the response is to have guards brutally tackle them and inject them with sedating medications, then there is a good chance that future efforts at engagement may be met with resistance. Sometimes, it helps to meet people on their own level, to get to know them, to let them become comfortable and trusting, and then some of these people who initially said No may become agreeable to getting care. The argument goes that those who refuse treatment have an inability to see they are sick, that this lack of insight it a symptom of the illness, and therefore it is a medical issue, not a civil rights issue. I hesitate to use the term "anosognosia" because the word has become so politically loaded; those who use it believe that involuntary treatment is often the only option. I would contend that people who don't believe they are ill can often be engaged in treatment. I'm not one for standing in someone's face and asking, "Do you know you have a mental illness?" Instead, people will often take medications because they feel better on them, because they are good patients who do what the doctor says, because a family member asks them to, or because while they may not think they are mentally ill, they do notice that life goes better if they swallow a pill everyday. Yes, I do know that there are some very sick people who are offered quality care and who just can't be engaged, and who would benefit from care that is not voluntary. But it's not a clear pro-force/anti-force picture, and it's always better to work with a patient if you can. So thank you to my friends in high places who are giving their time, energy, and efforts to helping our federal government figure out how to help people with serious mental disorders. I look forward to reading more about your endeavors!